La Hublotière is offering you free guided visits of its gardens and facades from 12AM to 6PM, everyday except on Sunday. From July 18th to September 2nd 2016 included. Closed on August 15th. Free guided tours at 12:30, 2 PM, 3:30 PM and 5 PM. 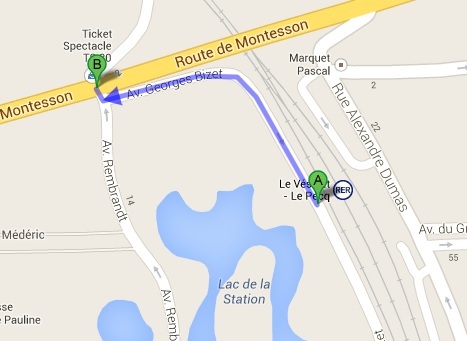 Take the line A in the direction of Saint-Germain en Laye, then stop at “Le Vésinet-Le Pecq“. Take the exit called “Rue Debussy” and keep on walking until you see a big crossroads. Cross the street and the Villa is in front of you !